Making money online is one the most searched thing on the internet. Some of people have succeed in this and others are still finding it. Well, There are many ways to make money online on the internet and I also had discussed some of them here. Today I'm going to share another way of earning bucks online which is specially for Bloggers and Internet Marketers. It is making extra money web hosting affiliate programs which I'm going to discuss below. I'll describe each and every thing about it in such way that even beginners and anyone should understand it easily. So listen to me carefully. What Is Web Hosting Affiliate Programs? 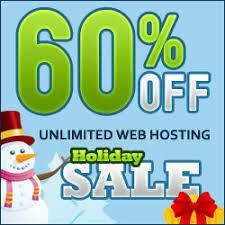 First of all, I would to tell you about web hosting and it's affiliate programs because understanding them both is important to get started with this. I'm going to write two passages about them below which will help you to know about them. In simple words, It is known as company or website where people can buy the domain names and also it's web hosting. Actually, Every site which is being used on the internet has domain name and web hosting. Lets take the example of Facebook. Open Facebook and in the Address Bar you will see www.facebook.com, here the facebook.com is the domain name which is bought by its owner. In simple words, the owner has registered facebook.com domain from any web hosting company. Lets know about the web hosting. The website owner also needs to purchase the web hosting so that he should get the domain control panel where he can develop his site, store data and all other managing a site tasks are done there in domain control panel. 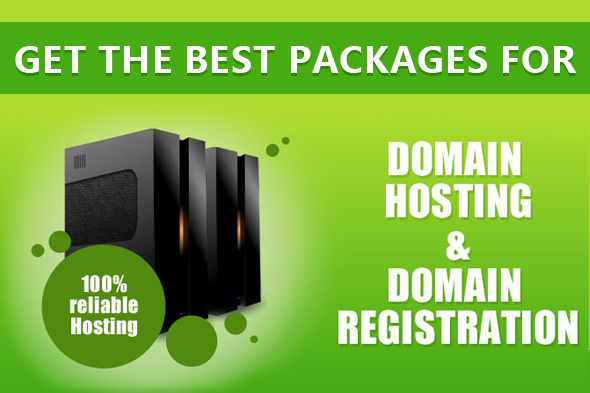 In simple words, web hosting gives you the control panel for any domain which you've registered. Affiliate Programs - How To Make Money With It? Mostly every web hosting company or site has its affiliate program by which people and their users can easily make money. There is nothing any big story behind affiliate program just the simple concept which I'm going to about it. First of all, go to any web hosting site and look for its affiliate program. There you will need to register yourself by filling the short form. When you're successfully registered there then you will get your referral or affiliate by which you can money. Now, you've to send that link to other people and ask them to use that hosting site which's affiliate link you're promoting. You should promote that link on blogs, social sites and anywhere where you can. Just ask people to use that web hosting company through your link. Now the more and more people will buy the hosting with your link, the more you'll earn. Each company has their different prices for each sale and it's fixed rate. That's all about. High Paying Web Hosting Which You Should Use! 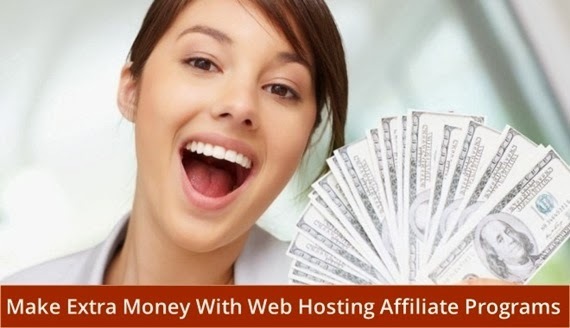 After knowing about the process of making money with web hosting affiliate sites, you might want to get some of the high paying web hosting companies which's affiliate program you should use and earn with that. Below, I'm going to share the most popular and high paying companies. DreamHost has the best affiliate program which pays the highest amount. You can easily earn huge with it by referring a lot of people there. They pay $97/sale and plus $5 for sub referrals. Along with their affiliate system, it's servers are best because a lot of popular blogs and sites are hosted their due to their good behavior with customers and also they have best servers do not usually get down like other small companies. It also has cheapest rates and you can also host your site their and also use their affiliate system to make money. BlueHost is the second most popular web hosting company and also for best affiliate system because of high rate for each referral. They pay $65 for each referral which you provide them with your link. They will only pay you if the referral has bough 12 months of web hosting and they pay more then they get. It is not only best for affiliate system but it has also amazing features for their customers. No server downtime, easy to use, quick help, helpful software and there are many more things which make their customers happy. After The DreamHost and BlueHost, It's time for Hostgator. It is also one of best and most referred by well reputed sites, blogs and bloggers to use this company for running your blog or site. It's affiliate system is also best which is being used by many online earners and they pay $50 for each sale. As well as its affiliate system is best, they provide the best hosting packages which are cheapest and affordable for everyone. They provide the unlimited space, bandwidth and many more things with the zero downtime servers.